Find new reason to plunge into the dungeon as the Gaming Hut tackles ways of giving narrative meaning to F20 combat encounters. Look at Fluffy in a new light as the Tradecraft Hut examines the animal spying claims of trainer Bob Bailey, who in addition to creating the chicken Tic-Tac-Toe machine says he was a contractor for the CIA. 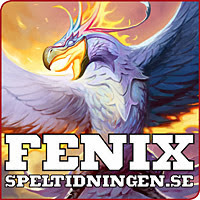 In Ask Ken and Robin, John Wilson asks Ken and Robin about turning homebrew sessions into published games and scenarios. Time Incorporated revs up Ken’s Time Machine, asking him to pick one of ten unbuilt utopias from a recent i09 listicle and make it a reality. If you can’t guess which one he picks, you don’t know Ken. 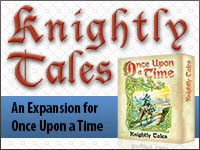 Don your chivalric armor to also thank sponsor Atlas Games, now unveiling Knightly Tales, the exciting new expansion for their classic Once Upon a Time card game. Staging a no-knock raid to flash its badge and confiscate your mi-go fetuses, it’s Delta Green: Tales from Failed Anatomies, now on Kickstarter. Robin has a story in the main book, and Ken in the bonus selection, so it’s only fitting that we should welcome Arc Dream Publishing to our sponsor stable. They said it couldn’t strike twice, but the Ask Ken and Robin lightning round is back, tackling game designer payment, Day After Ragnarok, book hunting, and a Rob Ford mini-update. In the wide open spaces of the Genre Hut, we look at ways to nerdtrope the Western, including Ken’s Once Upon a Time in the North from Fenix magazine. We fit in all the John Waynes! Reserve your kitchen outlets as Ken and Robin talk gadgets and appliances in the Food Hut. Then look up, way up, to the paranoia of chemtrails in Conspiracy Corner. Don your chivalric armor to also thank sponsor Atlas Games, now unveiling Enchanting Tales, the exciting new expansion for their classic Once Upon a Time card game. A curious case study, in which a regrettable glacier incident leads listener Joe Tyne to a Call of Cthulhu stumbling block, warrants treatment from the experts in Ask Ken and Robin. At the request of listener Benjamin Blattberg, we essay a hidden gems segment of the Cinema Hut. 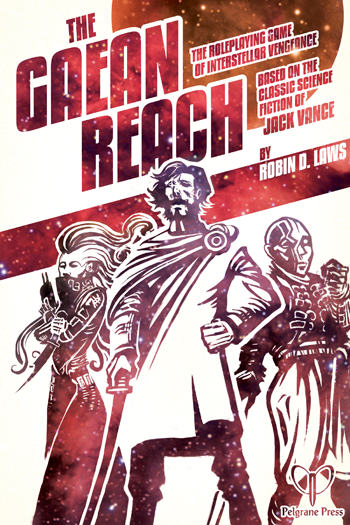 In Among My Many Hats, Ken quizzes Robin on his latest creation, The Gaean Reach: The Roleplaying Game of Interstellar Vengeance. Death to Quandos Vorn! Finally, with a nod of the chrono-helmet to Kevin Kulp’s TimeWatch RPG Kickstarter, Ken’s Time Machine unscrambles the Ossian hoax to, somewhat reluctantly, restore the literary reputation of 18th century poet and Scottish revivalist James McPherson.